There are five companies operating direct bus and ferry services from Bangkok to Koh Phangan whose tickets can be booked online. 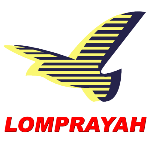 The Lomprayah High Speed Ferry Company offers the quickest and most comfortable service, and they offer a daytime service as well as an evening service. There are other companies offering joint bus and ferry services from Bangkok to Koh Phangan are slightly cheaper than travelling with the Lomprayah High Speed Ferry Company, but they take 5 to 8 hours longer to travel from Bangkok to Koh Phangan. Use the Search Box below to find your tickets from Bangkok to Koh Phangan. 45 minutes before you board this bus service you need to check in at their office on Soi Rambutri, less than 200 metres away from the Eastern end of the Khao San Road. The bus itself departs from the Bowon Niwet Road which is just around the corner from the Lomprayah office. 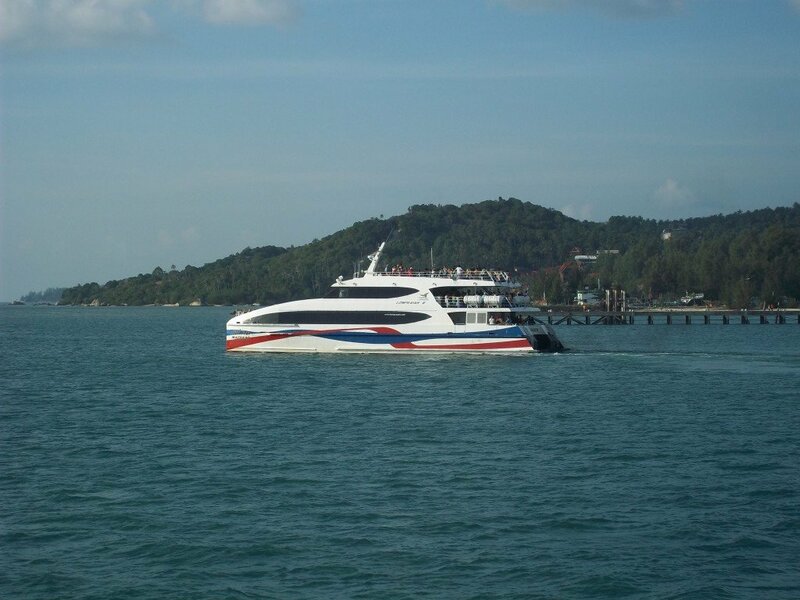 The bus connects with a high speed ferry for the crossing to Koh Phangan. The Paradive Travel service leaves from in front of Bangkok Hua Lamphong Train Station. The advantage of using this service is that Bangkok Train Station is easy to reach by public transport as there is a Metro (MRT) stop at the train station. The reason the Paradive Travel service is slower, and cheaper, is that the bus goes to Donsak Ferry Port (near Surat Thani) and then connects the slower car ferry, which takes 2 hours 30 minutes to get to Koh Phangan. There is nothing wrong with the bus or the service overall. It just takes a longer time to get you to Koh Phangan than the Lomprayah bus service. There are other cheaper companies offering the joint bus and boat service but we recommend that you do not book with them. What certain other operators (but not the Lomprayah Company or Paradive Travel) have been known to do in the past is to stop on the roadside for 20 to 30 minutes during the journey in order to steal valuables from their customers when the passengers cannot see what is going on. The other safe alternative is to take the Government Bus from the Southern Bus Terminal. Both services arrive at Thong Sala Pier in Koh Phangan. Thong Sala is the main town in the South of the island. On arrival there are normally lots of songthaews waiting to take people to all points on the island. The prices of shared taxis are not fixed and you need to agree a price before depart. Expect to pay around 200 THB for the trip from Thong Sala to Haad Rin and 300 THB to Thong Nai Pan. It will cost more if you want to hire the whole vehicle. There are some hotels and resorts within a reasonable walking distance of Thong Sala Pier. Thong Sala is the administrative capital of Koh Phangan, on the south-west side of the Island. Next find out Where is the best place to stay on Koh Phangan? 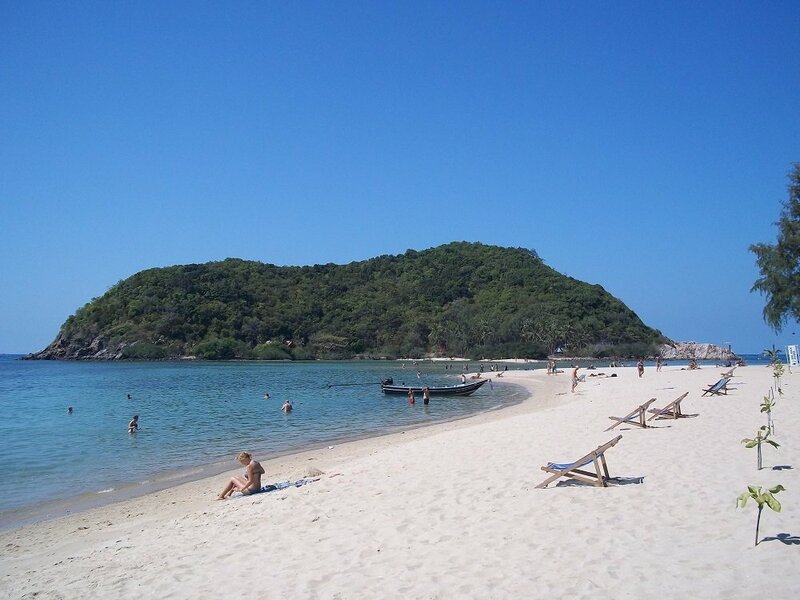 Find out which of the many beaches on Koh Phangan we recommend and why.